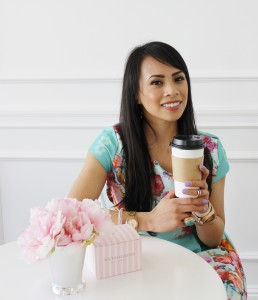 Berniedette is a Bay Area native who loves all things girly and is obsessed with good interior and fashion design. Her career is far from creative, so Berniedette works out daily as a way to escape her desk job. In terms of fitness programs, Berniedette has tried almost everything. HIIT training helped Berniedette lose much of the weight she gained in college and the Pilates reformer toned up her arms. But Berniedette needed more. It wasn’t until she discovered Core40 and the world of Lagree Fitness did Berniedette finally start to lean out. Berniedette is addicted to group fitness at boutique studios. As a health, wellness, and fitness enthusiast, she frolics around different studios in the Bay Area. For her latest adventures, visit her blog (PetiteAndToned.com) or her Instagram (@PetiteAndToned).